Poland: constitutional crisis or coup d’etat? by Bartosz Marciniak, PhD candidate at the Law Department of the European University Institute in Florence, former Visiting Doctoral Researcher at the New York University School of Law. Due to the increasing disrespect for the rule of law in Poland, I have decided to draw the attention of foreign constitutional law experts to recent events in Poland, which already have been labelled by many commentators as amounting to a ‘constitutional crisis’. Due to the language barrier and the astonishing rapidity with which the said events have occurred, much of the disturbing news has not yet reached media sources outside Poland. Blog posts should be short. But the substance and extent of the problems, I would like to describe, makes achieving this guiding premise impossible. For this reason, I will first provide a synopsis of issues underlying the constitutional crisis. If further interested, the reader then may continue reading the detail further on in the post. The first sitting of the lower chamber of Polish parliament (“Sejm”), in which the right-wing party ‘Law and Justice’ (previously in opposition) won the majority, took place on November 12th 2015. Four days later, the new government was formed. Since then, two grave infringements against the rule of law have occurred. First, a coup against the independence of the Constitutional Court took place. The President of the Republic, Andrzej Duda, a former member of the ‘Law and Justice’ party, refused to swear in five new judges of the Constitutional Court chosen by the previous parliament. He continues to deny the exercise of their mandate, which for three of the five judges has already begun, as claimed by some scholars. In this way has ascribed himself the authority reserved to the Constitutional Court by furthermore deeming unconstitutional the provisions upon which five constitutional judges were elected. This act also continue to stifle the operations of the Court. Subsequently, the new Sejm attempted to make void the act of the election of the judges by the previous parliament by adopting amendments to the Law on the Constitutional Court. Second, a coup against the independence of judiciary occurred. The President decided to intervene in a pending criminal court proceeding and pardon the accused, before the final judgment was issued. One of the accused was sworn in as the head of Anticorruption Bureau under the ‘Law and Justice’ party, and charged with abuse of power of his position. The most prominent Polish constitutional scholars are sounding the alarm. Professor Andrzej Zoll (former president of the Constitutional Court) claims that as of November 21st ‘Poland is no longer a state governed by the rule of law’. Professor Ewa Łętowska (the first Polish Ombudsperson and a former judge of Constitutional Court) admits that Poland is ‘in a state of a deep constitutional crisis regarding the division of powers’. Jerzy Stępień (former president of Constitutional Court) said that ‘in the recent activities of the President and the ‘Law and Justice’ party [he] can see nothing but a coup against one of the most fundamental principles of legal order that has been developing throughout the ages’. In a more toned-down opinion, professor Marek Safjan (current judge of the Court of Justice of the European Union and former president of the Constitutional Court) underscores that he is looking with unease at what is happening to ‘the most important institution of the Third Power in Poland’. To professor Andrzej Rzepliński (current president of the Constitutional Court) the aim of ongoing changes is to ‘weaken the constitutional system, to introduce mechanisms that will continue to weaken the Constitutional Court from within’. 1. Appointment of the new judges of the Constitutional Court. On July 21st 2015, former President of Poland – Bronisław Komorowski – promulgated the Law on the Constitutional Court that he himself had proposed to Sejm in September 2013. On October 8th 2015, on the basis of the new Law, the Sejm of the VII term, in which the majority of seats was at that time held by conservative-liberal party ‘Civic Platform’, with objection raised by ‘Law and Justice’ – elected five new judges of the Constitutional Tribunal. Whereas three of them were supposed to succeed judges whose term of office ended during the VII term of Sejm, the two others were supposed to succeed the judges whose term of office would end during the subsequent, VIII term of Sejm, i.e. after parliamentary elections. These elections were held on October 25th. Their outcome reversed Polish political scene. ‘Law and Justice’ received absolute majority in Sejm (235 of 460 mandates) while the former ruling party, ‘Civic Platform’, became the main opposition party with 138 mandates. Until now, the President has not sworn in five newly elected judges. He has asserted that the Law on the Constitutional Court unconstitutional and thus so too the election procedure of judges, conducted on the basis of its provisions. Last Thursday (November 19th 2015) ‘Law and Justice’ proposed an amendment to the Law on the Constitutional Court which was adopted and promulgated within two days (all the opposition parties, except for Kukiz’15, left Sejm’s chamber of deliberations in a gesture of protest). In short, the proposed amended law attempts to void the election of the five judges chosen by the previous parliament. Moreover, it extinguishes the mandates of the current president and vice president of the Court. The Helsinki Foundation of Human Rights (Helsińska Fundacja Praw Człowieka (hereinafter the Foundation; an NGO organization monitoring the upholding of democratic standards in Poland) urged the President to make an application to the Court in order to assess the conformity of the Law of the Constitutional Court with the constitution. In the Foundation’s view this statute was enacted with violation of parliamentary procedure. Furthermore, the Foundation observes that the amended Act provides the President of a veto with regard to election of constitutional judges because it establishes 30 day period in which they ought to be sworn in by the President. Should the President not accept the oath from new judges, their election becomes void. The constitutional issues stemming from this state of affairs are almost self-evident – call it ‘3 to 5 problem’. Insofar as it is contentious whether the parliament could have appointed the two judges whose term of office would start during the term of the new parliament, there is no shadow of a doubt that the three judges who were supposed to assume office during the term of the old one ought to be sworn in by the President. The retroactive effect of the amendment to the Law on the Constitutional Court, spurs further controversy. In short, the issue under consideration is about whether the new Parliament can disregard the judicial election made by the previous Parliament under directly applicable constitutional provisions and whether this constitutes a violation of judicial independence and, thus, principle of separation of powers. According to constitutional scholars and practitioners, by refusing to swear in at least three of the five judges, the President may well have committed a constitutional offence. 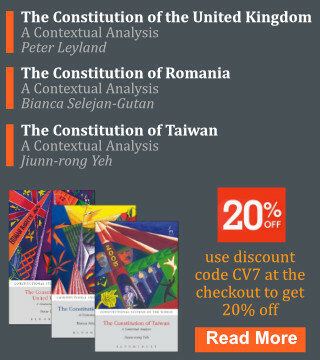 In professor Zoll’s and Safjan’s view, he has deemed the then-binding Law on the Constitutional Court unconstitutional – hence asserting the authority which belongs solely to the Constitutional Court. In the opinion espoused by professor Stępień, by refusing to swear in the judges he interfered with a matter that falls exclusively under the power of the parliament. According to professor Safjan, the President could have referred his doubts to the Constitutional Court, asking it to assess the constitutionality of the formerly binding statute. Instead, the President waited until the ‘Law and Justice’ proposed an amendment to the Law. Today, i.e. November 23rd the main opposition party ‘Civic Platform’ and the Ombudsperson challenged amendments to the Law to the Court itself for review. Hopefully, The Court will decide to join this case with a former one – that in which the provisions of the original Law on the Constitutional Court have been challenged. The hearing of the former case is scheduled for December 3rd 2015. Another constitutional issue which emerged last week was that of the presidential pardon granted to Mariusz Kamiński and three other officers of the Anticorruption Bureau. Kamiński was convicted to three years of unconditional imprisonment and prohibited from exercising public office for ten years. Regardless of the merits of the case, the sentence received by Kamiński was not final. His case is still pending before the criminal court of second instance. President Duda, in his decision regarding the pardon, stated that he ‘hereby discontinue[s] the proceedings’ and subsequently declared that his motivation was to liberate the court from making ‘a political decision’. The constitutional concerns are striking. President Duda, by pardoning Kamiński asserted the judicial powers of ordinary courts and found Kamiński guilty of his charges. One cannot pardon an innocent person. According to Article 42 (3) of the Constitution everyone is to be presumed innocent unless found guilty by ‘final judgment of a court’. A lawful conviction is a sine qua non of the power of pardon, as only a lawful conviction can entail legal punishment which is the object of pardon. It remains to be seen how the court of second instance will approach this problem. When this text was being written, the Assembly of the Warsaw Appeal Judges issued a statement in which they called for ‘maintaining standards of a democratic state governed by the rule of law’. Also, the Assembly emphasized that ‘the legislature cannot compete with the judiciary’ and that ‘President is not an institution that could <liberate the judiciary> from exercising its powers within constitutionally defined boundaries’. As professor Stępień observed, ‘the President is not a procedural body, he cannot discontinue any kind of proceedings. This is a war declared by the President against our courts; a war waged against the judiciary for its rightful position in the constitutional system and for its independence. Its outcome will depend on the court’s further actions. If the court discontinues the proceedings, it would be as if it has given up the court’s constitutional position […] the President is not some kind of supreme judge’. Constitutional issues notwithstanding, it is worth noticing that Kamiński was convicted of abuse of power while being appointed as the Head of the Anticorruption Bureau under ‘Law and Justice’ rule. As of November 16th 2015 he was appointed a minister in charge of coordinating the Secret Services. As convicted person, he ought to lose his mandate as a member of Sejm, as according to Art. 99 (3) of the Constitution ‘no person sentenced to imprisonment by a final judgment for an intentional indictable offence may be elected to the Sejm or the Senate’. For the time being, Kamiński coordinates the Secret Services and remains an MP. 3. Further ‘minor’ offences against the rule of law. There are two other minor, or possibly not so minor, instances of infringement of the rule of law. The first regards doing away with the principle of a rotating leadership in the Sejm commission for Secret Services. In effect, the parliamentary opposition will not be admitted to the Prime Minister’s Council on Secret Services. Five days ago (November 17th), in spite of the objection raised by opposition parties, the motion regarding voiding the said principle was passed. Interestingly, one of the MPs invoked current Prime Minister’s opinion (Beata Szydło) from 2009 in which she said that ‘the principle of rotary leadership is positive. It serves first and foremost as a guarantee of the transparency of what is happening, it also guarantees the commission’s function and safeguards the controlling functions of Sejm’. Also, one could think as detrimental to the rule of law the case of appointment of the heads of public media by President and Parliament. In professor Stępień’s view, this way of appointing heads of public media ‘looks […] like a coup against the impartiality of media. Yet another step in the direction of weakening of an institution that can check political power’. It remains to be seen what other developments will occur in this sphere. 4. Is there an imminent threat to the rule of law? Professors Łętowska and Zoll compared the President’s acts to that of President Lukashenko of Belarus, who in a similar way, invalidated the appointment of a constitutional judge in 1993. For the time being, by the day when the Constitutional Court assesses the constitutionality of the amended Law on the Constitutional Court, it will have at its disposal eleven out of fifteen judges (there is a nine judges-quorum needed for reaching a binding ruling). One should hope that the Court will take this matter with the utmost seriousness and that all the judges – regardless of health or weather conditions – will be present at the hearing. Be that as it may, fusion of powers may lead to dire consequences. The Polish Constitution is not well-suited for a highly galvanized composition of the Parliament and the Constitutional Court was conceived as the only buffer that can tame political power. Should the Court be paralyzed or obstructed, or its authority undermined – which is a likely scenario given the recent developments – the constitution itself will become a list of wishful thoughts. Whether the rule of law is in grave danger or on the verge of complete collapse remains to be seen. The gravity of the situation, however, cannot be downplayed. One may hope, as professor Rzepliński does, that ‘the political power will eventually come to a halt’. Not every scholar shares this optimism. Professor Stępień reminds us that ‘annihilation of democracy always starts with the weakening of constitutional courts […] The difference between communism, fascism and Nazism was that the communists did not destroy institutions that could check the political power – they just turned them into meaningless, fragile egg-shells’. It is imperative that constitutionalists pay close attention to further developments of this constitutional crisis. Well, it would be fine to stress, that the change of the law proposed by president Komorowski should help to the PO as a tool to keep as much positions in the Court, as possible, and to use the majority as much, as possible. The change absolutely was not wise, nor clever. It was the first shot in this battle covered by the flag of the rule of law. As lawyer, legal philosopher and Pole, I’m devastated! But happy that outside our country someone, especially young scholar noticed the critical situation. Good luck!